The update includes new Halloween quests, new costumes for Sims and more. 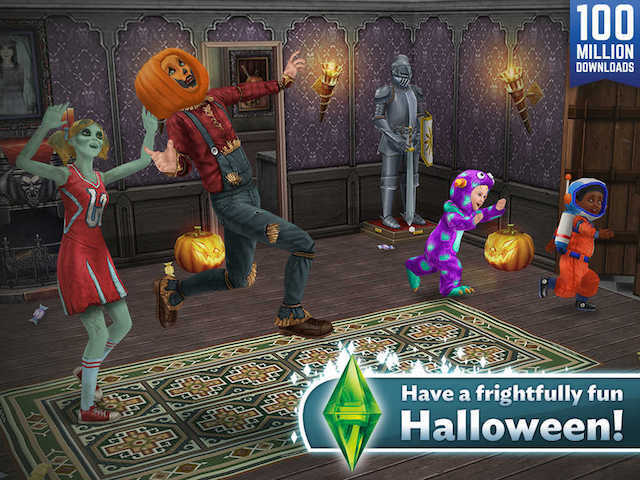 EA Mobile has launched a Halloween content update in its life simulation game, The Sims FreePlay, on mobile devices. The ‘Monsters and Magic’ update includes two quest series for players to complete, as well as new costumes for Sims to wear, among other content. From now until October 31, players who have reached at least Level 6 can complete the Halloween quest series ‘Night of the Candy Monsters.’ The quest series asks players to investigate the appearance of monsters around Sim Town. If gamers can complete the entire series before it expires, they’ll win a costume pack including Witch, Pirate, Ghost and Zombie costumes, among others. In addition to the ‘Night of the Candy Monsters’ quests, this update offers a separate quest line, ‘Saved By the Spell,’ which focuses on wizards. The quest line will see players ‘uncover the magic hidden within Sim Town,’ after the Wizard’s magic stops working. As part of this update, Sims can become better wizards via the Potion Brewing Hobby (Spellcasting and Broomstick Flying hobbies were released in a previous update). Finally, if players have constructed the Sorcerous Supplies building (released last year), they can shop for new items and decorations for their Sims’ home(s). The Sims FreePlay is available to download for free on the iTunes App Store, Google Play and the Amazon Appstore.